Balangara Accommodation – A fabulous private escape sleeping four or five on a hidden four acre garden within walking distance of Olinda township. Retro styled, but with modern comfort. Jaret took the reins at the Hepburn Springs Chalet in early 2012, and has worked hard on providing an authentic retro guesthouse experience. 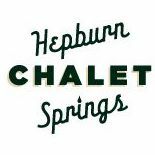 With devoted staff and a great network of partnerships around the region, the Chalet team can ensure that your stay is as full, or relaxing as you’d like it. This fully renovated Historic townhouse is right in the centre of the beautiful Irish town of Koroit, and only minutes walk to the Port Fairy to Warrnambool Rail Trail!This former historic shop has undergone a full restoration, and is available for holiday or medium term accommodation. Features historic railway items and period furniture throughout. Fully renovated and self-contained, this lovely piece of local history is the former Koroit Police Station. The cottage is full of old world character and will please the most discerning guest. 10 mins Port Fairy, Warrnambool & beautiful Killarney beach. Large beach shack only 1 house back from the beach. 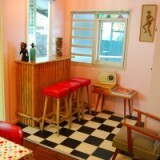 Built in 1955 and renovated 1950s style with mod cons including 46″ Sony TV, R/C air con and much more. Located 50 minutes drive from central Adelaide in the heart of the Fleurieu Peninsula coastal and wine region of South Australia.